Mark A. McClain began as principal at Covington High School in 2014. He received a Bachelors degree from the University of Tennessee in 1989. He received his masters in curriculum and instruction from University of Tennessee at Martin and his Masters of Education in School Administration and Leadership from Trevecca Nazarene University. Mr. McClain previously served as a teacher at Covington High and Munford Middle. He has also served as an assistant principal and athletic director for Covington High School. Mr. McClain is married and a proud parent of two sons. Mr. McClain enjoys hunting, fishing, youth baseball, high school sports, and spending time at the lake with family and friends. 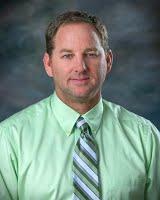 David M.Price began as assistant principal at Covington High School in 2018. Mr. Price graduated from CHS in 2004 and is a proud Charger! 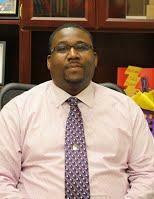 He began his teaching career as a Biology teacher at Haywood High School. He came to Covington High School in 2015 where he has since taught Biology and History. After earning his Bachelors degree in History with a minor in Biology, Mr. Price went on to earn a Master's in Education from the University of Arkansas. Mr. Price has a strong desire to see youth learn and grow in their knowledge. He has served as the youth pastor at his church for over ten years and has also been a tutor for after-school programs. He is looking forward to helping the youth of this community reach their full potential in this new role. Mr.Price is married and is a proud father of his two daughters, Ava and Adeline. He enjoys hunting, hiking, camping, and spending time with his family. 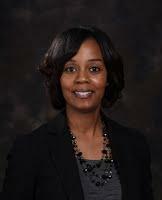 Yolanda Jones began as Assistant Principal at Covington High School in 2017. She started her teaching career as a math teacher at Covington High School in 2009. Since 2009, she has served as a Peer Tutor Coordinator in the WIA Youth Program, a Math tutor and STEM teacher in the Project Succeed Program, a co-sponsor for the National Honor Society, and a mentor for math teachers in the district. For her excellence in the classroom, Mrs. Jones was named CHS Teacher of the Year during the 2016-2017 school year. She earned her Bachelors of Business degree in Accounting, her Bachelors of Science degree in Mathematics, and her Masters of Arts degree in Education all from the University of Memphis. She also earned an endorsement in Instructional Leadership from Bethel University. Mrs. Jones looks forward to continuing to work with the students, parents, faculty, and staff of CHS and she is proud to be a Charger! Mrs. Jones is married and has two daughters, Taylor and Trinity. Cetrice Bounds began as an assistant principal and athletic director at Covington High School at the beginning of the 2015-2016 school year. After earning his Bachelor of Science in Business Administration (Marketing) from the University of Tennessee at Martin, Mr. Bounds attended the University of Memphis where he received his certification in special education. 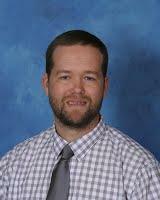 Mr. Bounds obtained his Masters in Educational Leadership from Trevecca Nazarene University. Mr. Bounds’ current educational level is Masters +45. Before becoming an assistant principal, he taught special education life skills classes at BHS and coached both basketball and football. Coach Bounds was the head coach for freshman basketball from 2001-2004, and during that time BHS won the district championship in 2002-2003. After he was named the head varsity basketball coach in 2005, BHS won the district championship and Mr. Bounds was named Coach of the Year. The son of Rodney and Sandra Bounds, Mr. Bounds has five siblings and currently lives in Drummonds with his wife, Linde, and daughter, Ariana.